Many may think it is the material things that we collect and surround our self with that defines who we are in this life. Our position at work, our salary, or the end results of our hard work that we have accomplished that brings the honor, esteem and the accolades from our co-workers. The planets in the night sky tell a different story, in that it is who we are, what we stand for, and the way we think that truly makes the differentiation of how we achieve what we truly desire and want in this life. These are the treasures in our life, which are the secret weapons and talents that we need, to honor, to cherish and to nourish any success and satisfaction we will have. We must remember that the outward material things may spoil and turn to dust, but what is truly within us is always there, and is capable of creating, recreating and sustaining our dreams and wishes. “The Sabian symbol for the Moon in 8th degrees of Virgo and for the Sun in 8th degrees of Pisces is taken from “The Sabian Symbols in Astrology by Marc Edmund Jones”, and what follows are my comments. Virgo 8 First dancing instruction This is a symbol of the self-perfecting required for the many different forms of man’s participation in the experience of his fellows, illustrated here in a potential excellence of special skills. The dance of life includes infinite versions of its rhythm and provides illimitable variations on the theme of its melody, but there must be some specific encouragement of individual ability as a stimulus to effective endeavor. Necessary always is that initial trial of self which in time leads to a continuity of effort. The keyword is assistance. When positive, the degree is achievement through a personal competence and a high gift for co-operation, and when negative, cheerful acceptance of ineptitude. Pisces 8 A girl blowing a bugle This is a symbol of the self-perfecting required for the many different forms of man’s participation in the experience of his fellows, illustrated here in his successful achievement and discharge of group responsibility. Life’s activities may have a myriad modifications, but human personality must make one of these its special charge as a basis for its own fulfillment. The individual challenges his fellows and is challenged by them in turn at each recurring points of special potentiality. The keyword is summons. When positive, the degree is an eagerness for self-expression and an alertness to every opportunity for self-justification, and when negative, officiousness and delight in regimentation. This symbol speaks to our innate knack to find our own niche in this world and our ability for self perfection and learning through instructions and observations. The image alludes to coordination, gracefulness, and flexibility at the skills necessary for successfully achieving any situation one attempts in life. It is not the end result that is important, but rather the competence, the cooperation and the extraordinary asset to visualize and to work towards the desired outcome, even if it is not realized at the moment. It is what is learnt that becomes part of the valuable items in our treasure chest. The wisdom to know when to continue and when to change directions will be the keys to the treasures we wish to accumulate. This symbol reveals to each one of us, of the self-refinement and the development of the special expertise and skill we each have within us that we will need to fine tune, to be ready to use it when we need it to bring about our dreams. This full moon is reminding us that we need to focus on what is truly in our treasure chest that can never be stolen, and is always ready and available to achieve our dreams and wishes. With the global financial situation looking a bit gloomy on the horizon and having lasted longer than any financial advisor expected, it is predictable that the concern for our own financial situation would be on our minds. A novice will encounter the meaning of the Part of Fortune shortly after having a consultation concerning his finances, as astrologers feel it dramatically illustrates their delineation. In my experience many of those individuals who come under the influence of astrology, have come to the art because they have either romantic or financial questions that have sparked their interest. In delineating, one must take the whole chart in consideration to make any accurate prediction pertaining to any area of concern the individual may have. The problem comes about, that without realizing it, the Part of Fortune takes center stage and becomes the focal point of determining in what area of life, the financial outcome will or will not manifest in. My problem is that we lose sight that the chart as a whole needs to confirm the conditions the finances will be like in our lifetime. Morin has always stated and repeated in all his books, that there should be several indications that something is going to occur, before one can become certain that it may come about. It may happen or may not happen because he always felt, the freedom to choose was ours to make. Even if it does come about as predicted, the degree it will come to pass is determined by the choices we make. I personally have always felt that the Part of fortune was just one of the players of several in obtaining our financial goals. It may be one of the important indicators in that it helps us to determine what talents, assets and tribulations will be a help or an obstacle towards any degree of success indicated by the chart. The house position of the Part of fortune points to the area in our life that will influence how we see financial prosperity and security in our world. The house colors in the way we see possession, what is considered a possession and to what area the prosperity will manifest itself. Recently I ran across someone who had their ascendant in the beginning of Aires with the Moon in Pisces in the eleventh house on the edge of the twelfth, with the Sun in Virgo in the sixth house and the Part of fortune in Libra in the seventh house, and the ruler of Libra in Scorpio conjunct Pluto. It always excites me to see the angles in the houses as they were meant to be in a natal chart, as I personally feel the energy of those houses are that much more powerful and direct. And that the destiny and purpose of the individual is laid out plain and simple without the hidden complexities and subtleness most charts have hidden in them. The difficulty is seeing the simplicity that is right in front of oneself. Aries is energetic, powerful, inspiring, self-concerned and assertive. 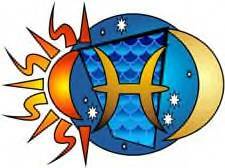 Pisces is sympathetic, caring, responsive, nurturing and spiritual. 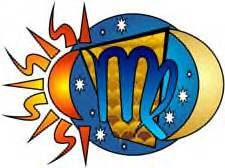 Virgo is articulate, analytical, service minded and detail oriented. Libra is people oriented, on the side of justice, balancing the opposites and the refinement of beauty. 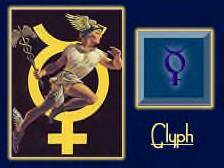 Pluto investigates, seeks the secrets and the sacred mysteries and sees transformation, as death and birth cycles that all life goes through. I have a strong conviction that by arranging the keywords of the Part of Fortune, one will come up with the areas, the assets and liabilities that will determine whether we fulfill, increase or lose the promise of the financial conditions indicated. With Aries and Pluto the energy and the power is ever present and continuingly moving into new directions. The keyword is cultivating and harnessing the energy and force, were one is in control of it and not the other way around. Balancing the force is the issue here, in order not to confuse the message you are receiving or conveying to others. Taking the mysteries and the spiritual significance within and combing them with everyday issues into a workable system is on the agenda. Balance, wisdom, feelings and emotions need to come into play when relating to others. With Libra the importance is in sharing what one knows in what works for you, that are important and really matters. The satisfaction is in the knowing you have something worthwhile to give and to share, and to a public that appreciates it and respects it. It is taking the mystery out of the secrets and making it plain and simple that will be your key to success. Seeking and fulfilling your destiny will be your pot of gold at the end of the rainbow. In conclusion the Part of fortune definitely is the cause, and the effect is whatever our true self was hoping for.